Every building project is unique, but they all demand the same level of professional care to meet the end users’ expectations. Working in a collaborative relationship with our customers, we apply our extensive experience to a wide range of projects including banks, offices, food processing plants, correctional facilities, hospitals, apartments, high-rise structures, and local government facilities. Providing added value for our customers is a key objective with every project we undertake. To provide maximum benefit to our customers, Electrix seeks the opportunity to become involved in projects during the concept, design and development phases. We provide optimum outcomes for our customers by working with them and our technology partners to address these issues early in the project cycle. Electrix has extensive coverage across New Zealand. This provides our customers with local access to an experienced management team and workforce that are highly skilled in completing specialised work in challenging environments and within tight time frames. Our proven capabilities are recognised in the commercial sector where our ability to offer innovative solutions has enabled us to consistently add value and achieve project efficiencies on behalf of our customers. Our experience is broad and covers a range of working environments from busy city centres and commercial precincts to remote rural locations. Electrix customers also benefit from our capability to provide ongoing preventive, scheduled and on-call break down maintenance services. Our experience in this area ensures outages for planned upgrades and major maintenance are managed effectively to minimise disruption. A key success factor for large commercial projects is the application of effective project management skills and systems. 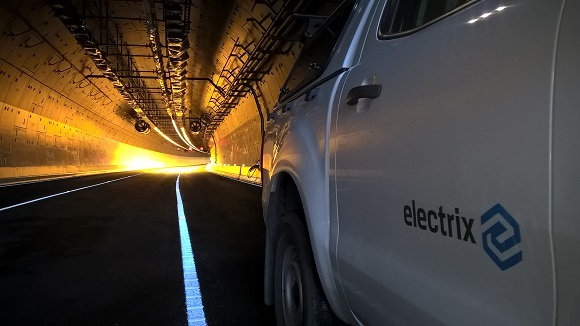 Electrix is highly skilled in implementing project management systems to accommodate our customers’ requirements, and provide quality documentation to support our customers in management of their projects and regulatory requirements. The development of our employees allows us to provide career progression opportunities and promotion from within the organisation. This results in a skilled, high performing, cohesive and loyal team culture, providing a stable workforce and industrial relations environment. We are a leading provider of electrical engineering, construction and maintenance services to asset owners in the commercial, infrastructure, utility, industrial and resources sectors. Our capability means that we are a true end-to-end service partner. With experience and understanding comes the ability to adapt and innovate and consistently create opportunities to improve efficiency and deliver better outcomes. The ability to operate in remote locations and across wide geographical areas means we understand and meet the logistical and practical challenges involved with major projects and work programmes. To each and every engagement we bring our experience and technical expertise along with a commitment to safety, quality, innovation and the environment.